Declawing changes the way the cat’s paws function, and this creates stress on the joints of the paw, wrist, elbow, shoulder, and spine. The cat’s gait changes, as weight is shifted backward from the toes to the large rear pad of the paw. 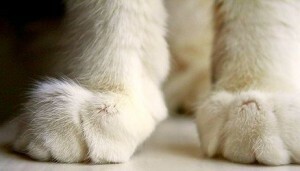 Research has demonstrated that, after declawing, cats shift their entire weight more toward the hind legs. 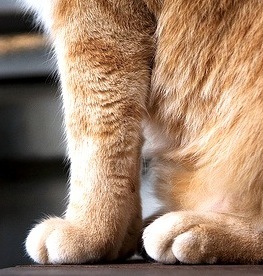 This is quite a feat, considering that the front legs normally bear about 60% of the cat’s entire weight. 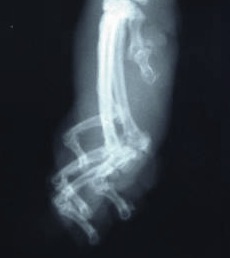 Within 6 months or so, normal weight distribution among the four legs is restored to pre-surgery values. 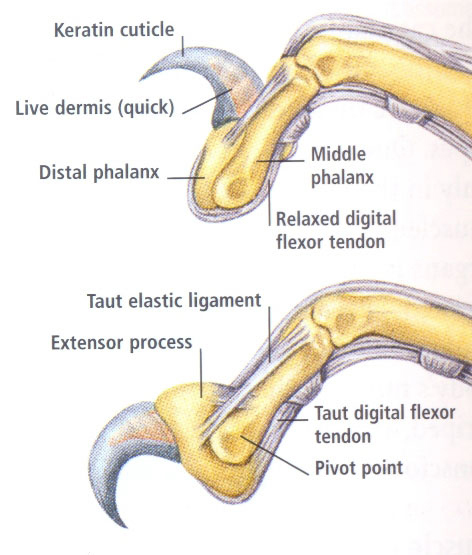 However, changes and stresses within the paw persist and may even worsen due to normal contracture of the severed tendons due to scar tissue formation. 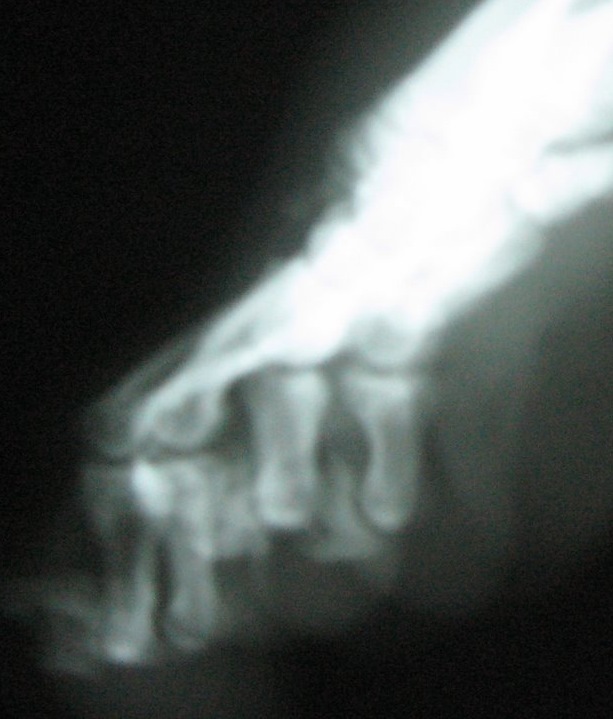 Over time, this altered stress can contribute to the development of arthritis. 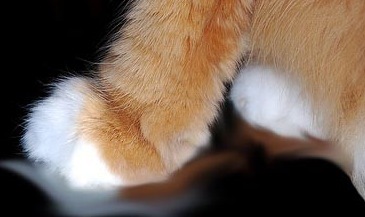 In most older declawed cats, the toes are completely “frozen,” immovable even under deep anesthesia. 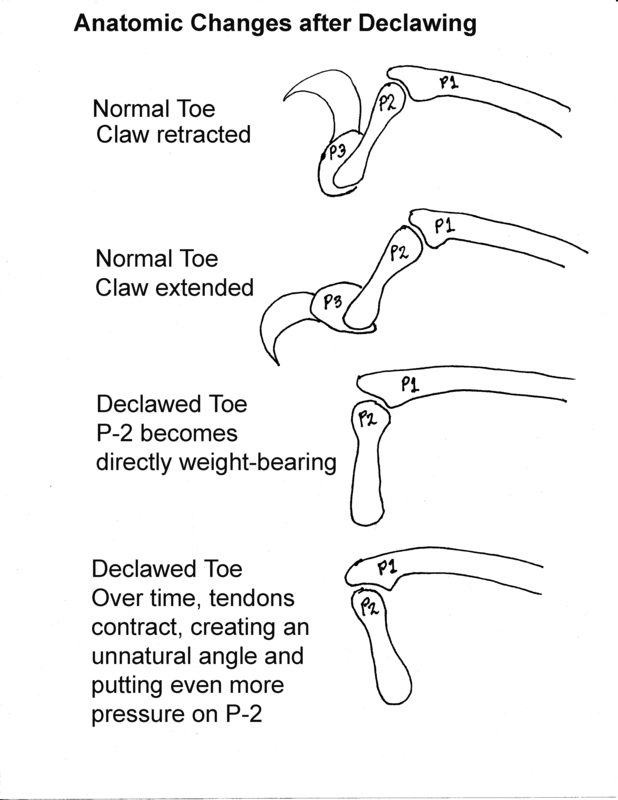 Declawing causes observable changes to the cat’s anatomy that are not only visible on radiographs (x-rays) but are obvious to anyone who cares to see them. It would be interesting to hear what the orthopedic specialists make of these changes. 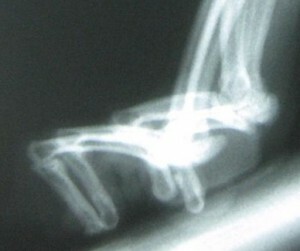 Can the veterinary community continue to deny the reality that declawing causes serious long-term consequences to the cat?